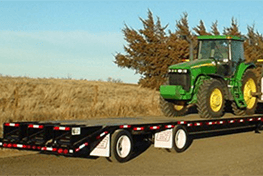 A drop deck is a trailer that has a gooseneck to add some extra hauling capacity, made especially for large, over-sized tractors and equipment. 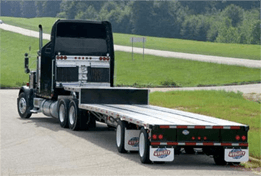 In some cases, a single drop deck may not be enough to carry some long or tall cargo, in which case we have to use an extended drop deck trailer. When a job necessitates a trailer that can carry an irregularly long piece of equipment or cargo, we employ the extended drop deck trailer. 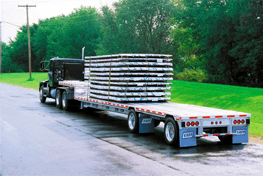 Like a flatbed with either a single or a double attached gooseneck, the extended drop deck gives the user capacity for additional height and length to meet the needs of a specific cargo load. When is an Extended Drop Deck Used? The extended double drop trailer is used exclusively for cargo that exceeds both the height requirements of a standard flatbed and the length requirements of a standard drop deck (either double or single) trailer. Do I need a Regular Drop Deck or Extended Drop Deck Transport? In addition to offering our customers expert advice on the most suitable trailer for their job, Tractor Transport provides unmatched services on the way to completing your order right on time. This includes consummate knowledge of common shipping lanes, zero cancellation fees, unmatched customer service, and door-to-door pickup and delivery. 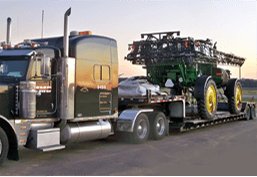 Whatever you need, whenever you need it, Tractor Transport is there to be your full-service tractor hauler. Simply give us a call, tell us a bit about your job, and we'll tell you how you can get our service working on shipping your tractors wherever they need to go!